Indisputably among the premier gospel groups of the modern era, the Soul Stirrers pioneered the contemporary quartet sound. 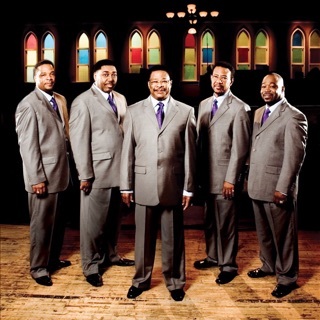 Pushing the music away from the traditional repertoire of jubilees and spirituals towards the visceral, deeply emotional hard gospel style so popular among postwar listeners, the group's innovative arrangements -- they were the first quartet to add a second lead -- and sexually charged presence irrevocably blurred the lines between religious and secular music while becoming a seminal influence on the development of rock & roll and soul, most notably by virtue of their connection to the legendary Sam Cooke. The Soul Stirrers' origins date back to 1926, where in the town of Trinity, TX, baritone Senior Roy Crain formed a quartet with a number of other teens with whom he attended church. After one of the group's early appearances, a member of the audience approached Crain to tell him how their performance had "stirred his soul," and from this chance compliment the Soul Stirrers were officially born. The original group fell apart soon after, but Crain continued to pursue a singing career; upon relocating to Houston during the early '30s, he joined a group called the New Pleasant Green Singers on the condition that they change their name to the Soul Stirrers. So rechristened, this incarnation of the quartet made a 1936 field recording for Alan Lomax; as other members dropped out, Crain brought in replacements, finally arriving at the classic early lineup which also included bass Jesse Farley, baritone T.L. Bruster, second lead James Medlock, and, most notably, lead R.H. Harris, whose high, crystalline voice remains the inspiration for virtually all great male quartet leads to follow since. After moving to Chicago, the Soul Stirrers began shifting away from the signature tight harmonies and compact songs of traditional gospel towards a harder style distinguished by shifting leads and performances elongated to increase their emotional potency; they also began performing new material from the pens of Thomas A. Dorsey, Kenneth Morris, and others. Throughout the 1940s, the Soul Stirrers' reputation grew; not only were they constantly on tour, but they booked most of the major gospel programs in the Chicago area -- in their spare hours, they even operated their own cleaning business. When the grind got to be too much for Medlock, he retired from the road, and was replaced by onetime Golden Echo Paul Foster. In early 1950, the Soul Stirrers signed to the Specialty label, debuting with the single "By and By"; it was quickly followed by "I'm Still Living on Mother's Prayer" and "In That Awful Hour," both originals composed by Detroit's Reuben L.C. Henry. In total, the Soul Stirrers recorded over two dozen tracks for Specialty in 1950 before Harris quit the group that same year; many predicted a dire future, especially when it was announced that his replacement was a relatively unknown 20-year-old named Sam Cooke. When Cooke made his recording debut with the Soul Stirrers in 1951, however, any reservations were quickly dispelled -- blessed with a gossamer voice even sweeter and more graceful than Harris', he would take the group to even greater heights than before.